Have you ever been to a new place and said to yourself “I am in love!” as soon as you landed? I am like that. I compare myself to serial daters except that I am a serial fall-in-lover of new places, if there is such a word. 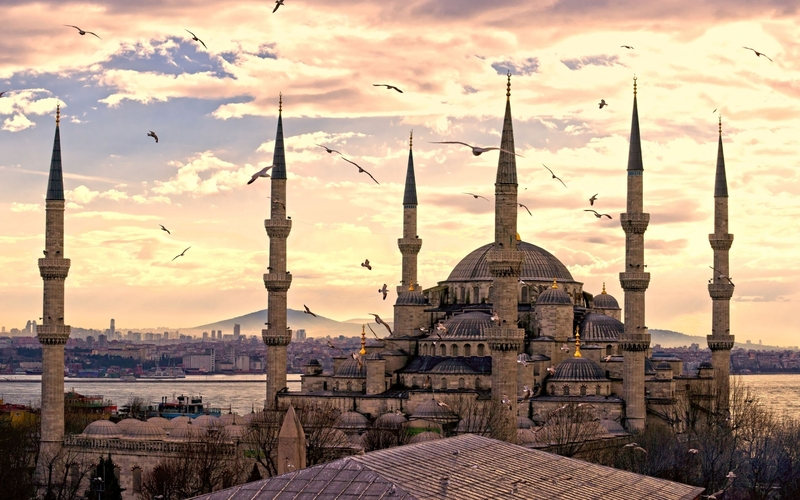 However, no other place has captured my heart as much as the city of dreams, Istanbul! Presently I am like a forlorn lover sitting in front of the laptop, wanting to pen a love letter to the most beautiful city in the world, a place I have not even been to. Such is the magnificence of the ancient city. If I had the brilliance and genius of John Keats or Lord Byron then prose and poetry would easily flow through my pen but alas, I am not! However, that will not deter me from trying. If there is one occasion when I believe that you can truly fall in love with something, this is it! I have fallen in love with Istanbul even before laying eyes on the city. So allow me write this much delayed love letter to the once capital city of the Byzantines, Ottomans and Romans. My heart aches at the thought and sight of your beautiful skyline at sunrise. Oh how I long to see it too! The hustle and bustle of the busy streets of the Grand Bazaar, vendors hawking their goods and competing for the attention of tourists searching for the perfect souvenir; the sound of your little children playing with not a care in the world; and the muezzin calling people to prayer- the music playing like a beautiful melody to my ear. I could say countless things about you. I can never get enough of your beauty. The excitement of seeing the view from the Galata Tower while walking up its staircase; the thrill of having coffee on the European side of the city while looking at the Asian side; the joy of finally tasting mouth watering delicacies such as the baklava and the kunefe; the joy of finally seeing Hagia Sofia; these are just some of the things I wish to do once I get to you. I want to witness the otherwordly landscape of the fairy chimneys in Cappadocia; the ruins in Nemrut Dagi; and perhaps even swim in your turquoise waters (if only I knew how to swim). I feel like a lifetime is not enough to explore the very depths of you. Right now I have to satisfy myself with pictures, they might be delightful to look at but they can never do your beauty justice. Someday, my love. Someday we will be together and that someday will be soon. I am slowly but surely finding my way to you. Do not ever change. Your beauty is your armour and my weakness.